Travelling around 15 kms on a stretch from Lucknow towards Hardoi, I had seen 70 banners and hoardings of Peace Party and it was then that I stopped counting. That was almost a year ago. Now the Assembly election is round the corner and Dr Ayub's Peace Party is giving jitters to almost all the mainstream political parties, even to a section of the BJP. When the middle-aged medical practitioner, who runs a big hospital and has the second biggest business in disposable syringes in the country, made his foray in politics, it was met with skepticism. But impressive vote share in elections, particularly, the recent bypolls, have shown that he has support among Muslims, section of Brahmins and the backwards. When the Peace Party of India (PPI) candidate got 1 lakh votes in Khalilabad in 2009, it raised eyebrows. In conversations, often people wonder, 'Who is funding it?' & 'What's their agenda'. The popularity of the party in some areas is baffling others. Often there is criticism that it is a one-man's show. But similar objections are equally true for other parties as well. With its good performance in by-elections where the party came second and due to its performance other major parties had to forfeit deposit has made politicians sit up and take notice. While there is a feeling that Peace Party would hurt Samajwati Party the most, other parties are also worried. In Lakhimpur by-election, SP won the five-cornered contest. But Peace Party's Brahmin candidate came second, followed by Congress, BJP and the BSP that was relegated to the fifth place. That was a year ago during the bypoll. Similar was the case at Dumariyaganj where its candidate came third. 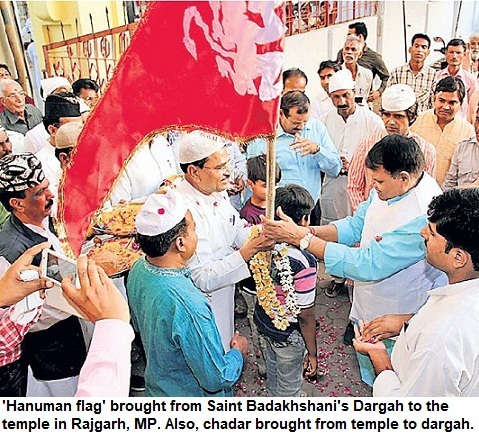 Unlike SP that has Yadav leadership taking Muslims along or BSP that has a Dalit leader, PPI is a Muslim-centric party. But it claims to be not a party meant to secure Muslims' interests alone. It claims itself to be an inclusive party that will strongly take Muslims' issues. A la AUDF, MIM or charting another course! Perhaps, it's an experiment to replicate Maulana Badruddin Ajmal-led AUDF's success in successive elections in Assam. With every Assembly and Lok Sabha election, Ajmal's party has emerged stronger in Assam that has 33% Muslim electorate. Others feel Peace Party may emerge a slightly diluted version of the Hyderabad-based Majlis-e-Ittehadul Muslimeen (MIM) that has strong bargaining power in Andhra Pradesh even though the state has far less Muslims than UP. Andhra has barely 8% Muslims but MIM has a strong base in the capital, Hyderabad, which has over 40% Muslims. In UP, Muslims account for 19% population but are more concentrated in Western UP, umpteen constituencies in Awadh, Purvanchal and other parts. But will Muslims vote en bloc for Peace Party in any of the regions? It is not as easy though as Muslims haven't deserted Mulayam Singh Yadav' SP as yet. It is possible though that given the multi-polar contest, Peace Party may emerge victorious in some constituencies and later, in case of hung assembly, gain importance for the other parties. Dr Ayyub who recently survived an attack on his life when his vehicle was repeatedly hit by a Sports Utility Vehicle (SUV), says that his party stands for harmony and social justice. If it is Muslim vote, he banks upon, then the 19% Muslim electorate in UP has many contenders. Samajwadi Party has now projected Azam Khan as its Chief Ministerial candidate. BSP too is trying to woo the community. Apart from Congress, RLD and other mainstream parties, there are half-a-dozen Muslim parties too in the fray. Notable among them are the Welfare Party and Ulema Council, which was formed after Azamgarh was defamed in the wake of Batla House encounter. However, it is felt that the increase in number of 'such parties would divide the Muslim vote. Recently, after the Sufi Mahpanchayat, Maulana Tauqir Raza Khan has also hinted that his Ittehad-e-Millat Council (IMC) would throw its hat in the electoral fray, on certain seats around Bareilly, which is considered the centre of Barelvi sect. Peace Party is however much more organised and has support of other caste groups also. The 2012 Assembly election would be crucial in many ways. While Rahul Gandhi is making an all out effort to win back the state, its a prestige issue for SP, BSP (and BJP) also. Chief Minister Mayawati has flummoxed Congress with her proposal to divide UP. Clearly, each party is doing its best to outwit the other. Lately Peace Party has attracted leaders from several other parties and lot of Dalit-Backward politicians are joining it. Slogans like 'Ekta ka Raaj chalega/Hindu Muslim ka saath chalega' and 'Bharat ke samaan mein/ Dr Ayyub maidaan mein' are visible on walls across UP. Just a matter of months and the election results would tell if there is indeed space for a non-conventional sort of political outfit like Peace Party in UP.